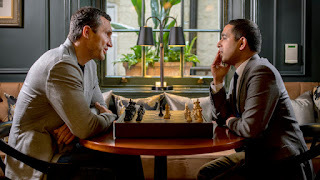 As I've highlighted on this blog several times in the past, the Financial Times (FT) periodically publishes thoughtful chess-themed articles and interviews, the most recent one being with heavyweight champion boxer Wladimir Klitschko. The chess itself isn't the really interesting part, although Klitschko knows both Kramnik and Kasparov; rather, it's how Klitschko has incorporated it into his life and his outlook on competition and winning. Here are a couple of the more interesting points from the article for me; the full interview (linked above) is well worth reading.